To Hoai died on July 6th, 2014 as news spread out not only by BBC but also newspapers and broadcasting radio of Viet communists respectively and respectfully. There was a bunch of slaved writers who praised him as their senior writer and political leader in a communist manner of mostly "personal flattering". In oversea communities, a "writer" Tuong Nang Tien who was mentored by Vu Thu Hien had groped for a papaya tube to blow an article named "To Hoai & Three Other Persons" in order to rise his spirit as "Little Tuong Nang Tien dreamt of seeing Uncle Ho last night"! 1/ Tuong Nang Tien was born 1952. He is a former officer of Republic of Vietnam Armed Forces who was also being put in jail by the communists. He fled Vietnam by boat, resettled in the United States and has begun to write until now. With a bold style of writing, Tuong Nang Tien has got many reading fans; Chinh Khi Viet included. There is a consequence in doubt if his "re-education" jail time forced by the communists has been a reason for his writing after being released from jail; such as quote: "After the North/South war ended, I stopped by state-run bookstores sometime but never looked at any writing of To Hoai" (sic). Chinh Khi Viet has disappointed for his remark "North/South war"; written by a Republic of Vietnam officer whose knowledge of the real fact of the war is totally blank. That was the war he himself involved and witnessed with numerous bloody old men and women, young children, including pregnant women; massacred by the communist clan with weapons from Soviet and expansionist China. Especially after resettlement in the United States; even until up to 2014, Tuong Nang Tien's pen is still remarked that war relaxingly as "North/South war" (sic). He pretended to be blinded; intentionally with his denial of a truthful historical fact that even young Vietnamese children in Vietnam and oversea; as young as his own children would have able being known. That fact is that armed aggression war against the Republic of Vietnam had been waged by Viet communist clan from the North. The proof is the contents of Resolution 15 from second Session of a conference presided by great criminal Ho Chi Minh himself!! 2/ After the red communist ranger Vu Thu Hien came to the United States, Tuong Nang Tien had remarked on the subject of the time right after Vu had been released from communist concentration camp; quote: "The only article that made me exciting at that time is his 'Ho Chi Minh completed edition' - regardless of some of his non-skillful paragraphs" (sic). Tuong Nang Tien also skillfully praised that article right after that remark, quote: "On its contents, except some regardless small mistakes mentioned above, it is actually a huge work worth reading" (sic). Tuong Nang Tien after receiving of re-education from the communist prison camp, now he waits for sale of his own soul to the devil by his relaxing acceptance of "Ho Chi Minh's thoughts" with his confessed words "The only article that made me exciting at that time is his 'Ho Chi Minh completed edition" (sic). His words "at that time" in the sentence is just a preventive tactic for possible controversy. Finally that remarked out of jailed time could be understood as a time for exciting only because of there was no means to carry out that "exciting" yet! With red ranger Vu Thu Hien, Tuong Nang Tien acted like a wild dog in lace which was waving it tail for its loyalty to a "representative of the communists" who was proud to be in the same bed with Ho Chi Minh during the time his own father was absent, day and night, for out of town "mission"; ordered by Ho Chi Minh? Because of receiving social welfare benefits, Tuong Nang Tien had able to give away an amount of only $50.00 USD reluctantly to a close friend of Vu Thu Hien whose Russian essence transformed him as much as his reading of Dostoievski Mikhailovitch day and night. After reading "Doi Thoai 2000" of former youth volunteer corps Tran Khue, Tuong Nang Tien became first writer of Viet anti-communist communities to praise Tran Khue as "Khue star of Bac Ha, intellectual number one" with "pen in hand and papaya tube in other hand" style. He never dared to write like Khue until he was reading his article with words such as "it's natural in the sole leadership of the communists"; and "Vietnam must follow Ho Chi Minh theoretical way"; and "Saint Ho is higher than Emperor Hung" and finally there should be a mandate of showing "Ho statue" in any domestic or international conference. That has been a big turn in Tuong Nang Tien's writing; publicly through his praise of Tran Khue as an admission into slaved writing clan. The duty of that clan is defense of the so-called "Ho Chi Minh theory" (also Ho Chi Minh thoughts" during "North/South war" on his oversea entertainment and media front. For that way, Tuong Nang Tien has been given an editorial position of Dan Chim Viet editorial staff by red ranger Vu Thu Hien. The name "Dan Chim Viet" itself is propaganda for an ultimate goal of gathering all oversea Vietnamese - mostly anti-communist Vietnamese, of course - in unity behind the communist party in Vietnam. "Dan Chim Viet" is a song written by Van Cao in 1945 for unity of national population behind great criminal Ho Chi Minh. It was used as a patriotic encouragement to cover a trick in his allegation of bringing back colonial French. That was a first step in his seizing of whole Vietnam governing machine; using it as a tool to spread Soviet expansionism into three countries Vietnam, Laos and Cambodia of Indochina! 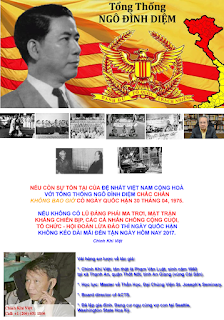 As a new slaved writer of Viet communists in Dan Chim Viet nest, Tuong Nang Tien has his own blog on RFA as an official member with his frequently writing on "Dan Lam Bao" blog. With his past as a young officer of Republic of Vietnam, Tuong Nang Tien's writings have been enlarged upon effectiveness by several communist medias oversea and several broadcasting radios abroad to introduce him as a successful writer who has chosen to "live, fight and study following great president Ho Chi Minh" instead of the motto "Fatherland, Honor, Responsibility" which he denied. 3/ With "Saint Ho and Ho Chi Minh theory", guiding by Khue Star and teaching by red ranger communist Vu Thu Hien, defector Tuong Nang Tien had performed well his skill of "black and red extortion" with his enthusiastic "pen in hand and papaya tube in other hand" style in his article "To Hoai & Three Other Persons". Chinh Khi Viet would like to use defector Tuong Nang Tien's own words to unmask his deceit ideals and actions to the public. a) Firstly, "Three Other Persons" is the last article of high ranking communist slaved writer To Hoai. Someone introduced it as a "romance" but the story in "romance" is unreal. But right here, "Three Other Persons" is a story of To Hoai, the author himself. Other characters, locations and time in the book are real. Therefore, Chinh Khi Viet considered "Three Other Persons" is a narrative of To Hoai. That means thoughts and actions of the main character come from the narrator. This factor is very important. It showed off to his readers from To Hoai's last article "Three Other Persons" his lifetime loyalty and sacrifices to his great unpatriotic and criminal communist killer clan as a volunteer slaved writer. b) Chinh Khi Viet would like to remind you that all newspapers and books printed and publicly published by current slaved communist regime are products of Viet communist clan. They were used for its cultural and ideological fronts as its printing political documents. The communist clan carried out its political policies with its flexible ways; adapted itself to new world circumstances for its utmost survival. The communists used to play "double cards" political game in any political domain; especially on diplomacy, economy, defense, religion, culture and media; in both officially and unofficially ways such as "left" and "right" media wings. There are political organizations, associations, parties and individuals ... who were loudly proclaimed as "independent" and "independent civil organizations" ... created by the communists not only in Vietnam but also oversea for years. Their oversea organizations now are stable; sufficient for becoming "oversea local party branches" like those in 1946. At that time, great criminal Ho Chi Minh dissolved his Indochina Communist Party after having controls of police, armed forces and a large growing party members. His dissolved Indochina Communist Party then had been changed into new name "Vietnam Labor Party" in 1951 second communist party conference for bolsevik practice and Hans ethnic transformation. The "double cards" game is a political allegation of the communist clan for having supports from all trading powers. Official traders must deal with the deceit communist government by "right" card; unofficial traders must deal with it by "left" card; in each issue of trading. Look at those political organizations which were either proclaimed themselves or recognized by the communists as "oppositional or independent" groups! How "independent" was they claiming when they must have financial dependences on this or that political powers for survival? How to transform the communists by peaceful means and begging them for "openness and real reform" with leftover pieces of meat instead of well cooked pieces of bones in Vietnamese beef noodle soup style! There were real "independent" political activists who actually got arrests and jail sentences such as Bishop Ngo Quang Kiet, two leaders of Thang Tien political party, lawyer Le Chi Quang, family of Doan Van Vuon, Dang Ngoc Viet, Lo Thanh Thao and many other categories of appealing land-owners ... instead of faked ones who played on their political stages as opponents of the regime such as Cu Huy Ha Vu Ph.D, Nguyen Quoc Quan ESL Ph.D. ... They were chosen by the communists because of their roots from the regime for their role as a bridge to the world; or as a valve cover of water tube for prevention of nuclear-like riots from red slaves' wide-opened irritations. Moreover, those crooks of all categories on all domains of civil activities in the society of Vietnam now are in full of wing feathers; readying to lead and control of their slaved powers. This red marathon slaves would run for peace until their last runner to be collapsed for exhaustion! How could they be able to catch up on faked opponents and faked democracy activists who would have volunteered to take trans-oceans airplanes or to sit in Starbucks coffee shop with foreigners for political discussions with their wide-opened smiles!? The "right wing" of State Buddhist Church in camouflaged monk dresses and the "left wing" Vietnam Unified Buddhist Church of communist guy Dang Phuc Tue aka Quang Do; all of them have unanimously praised great communist criminal Ho Chi Minh as their "Buddha" and put him next to Buddha on the altar of pagoda! c) Chinh Khi Viet would like to show his readers some incidents following communist solution; happened inside the society in Vietnam as well as in Viet anti-communist refugee communities oversea. You would have agreed with him that a high ranking slaved communist writer like To Hoai should never ever written something which caused failure to his communist party's policy. Its policy was affirmed during a meeting for discussion of To Hoai's "Three Other Persons" at the Cultural Institution office; organized by communist Writers Association in Hanoi on December 22, 2006.
on the incident of "land reform"; a crime from criminal Ho Chi Minh and his communist party, lackeys of the Soviet and expansionist China. That crime was made through "mole-cricket To Hoai"'s view from a match between mantis fighters in the tale of To Hoai's "The Adventure of Mole-Cricket". Another great slaved communist writer Nguyen Ngoc, a communist party secretary of the so-called Artistic Cultural Association, chairman of the "Independent Writers Club" (a faked civil society organization) who said in emotionally; Excerpt: "An interesting, broad writing of Land Reform; nothing on farmers but three co-operative agents. It was proving that the tragedy of the nation and society came from these foolish guys. Other writings focused on the farmers as victims instead of chief culprits. Three foolish guys without knowledge happened to make a whole society upside down for several thousand years of culture" (end of excerpt). students of Ho" that were brought oversea by red ranger Vu Thu Hien to be sold to naive people who are unaware of illegal activities from the communist clan. Especially they have no or not yet to have time and opportunity to have access to communist documents which were originally made by the Soviet; and later were save to use as a horse of Troy against people in Indochina generally; particularly in Vietnam. Separately upon Second Vietnam Communist Party Conference in Viet Bac 1951, great criminal Ho Chi Minh had re-used the name Vietnam Labor Party again and got 100% votes as Chairman of it, Politico member, State President, cabinet Prime Minister and Head of Defense Council. Ho Chi Minh gave his cabinet Prime Minister position to Pham Van Dong; then Pham Van Dong gave his Foreign Affairs position to Ung Van Khiem. Beside his quitclaim of Prime Minister rank, great criminal Ho Chi Minh had still kept other positions until his last breath in September 1969!! Le Duan became leader as First Secretary of the Communist Party with less power than Ho until 1976 when he was elected as General Secretary of the Communist Party with absolute power until his death; by the Fourth Vietnam Communist Party Conference; witnessed by Mikhail Gorbachev. Thus, with documents from the communist party and "Ho Chi Minh Completed Edition" which Tuong Nang Tien had bought and read after his release from communist prison camps, he praised the contents of the book as "actually a huge work worth reading" (sic). Even in the history of the communist party itself, as well as the regular history of Vietnam written by slaved communist historians, all proved that great criminal Ho Chi Minh had been the most powerful; "higher than god - on political stage in Vietnam" (sic). With these above proofs, Chinh Khi Viet would able to prove that the more Tuong Nang Tien learned from July 2014, the more he has actively thrown himself into "the great career of revolutionary Ho Chi Minh" after his readings of "Ho Chi Minh Completed Edition" in Dalat and "Ho Chi Minh Theory", "Saint Ho is Higher than Emperor Hung" of Tran Khue; introduced by red ranger Vu Thu Hien as his loyal disciple after coming to America. Tuong Nang Tien is an immoral writer because of his stubbornness on defending his "Saint Ho" when he has had no ability or no bravery enough to explain otherwise following orthodox documents. Tuong Nang Tien must twist his pen similar to his mentors' styles to defend great criminal Ho Chi Minh because his mentor is red ranger Vu Thu Hien and his idol is Tran Khue, former "young pioneer", self proclaimed "Chinese literature" professor. That means he tried to lessen the "careful and unified collective organized crimes"; carried out Session 2, Resolution 15 by the communists in January 1960 (?) for their aggression against Republic of Vietnam. This timing date was used by red ranger Bui Tin in his book to defend their "armed aggression" against Republic of Vietnam in response to Republic of Vietnam's Resolution 10/59 "killing of patriots" (sic). In the reality, Resolution 10/59 of Republic of Vietnam was born in October 1959 to deal with the communists' Resolution 15; born in January 1959 instead of January 1960 as contradictious claim by deceit Bui Tin. In "Night In the Middle of Daylight" of Vu Thu Hien, he blamed Republic of Vietnam's Resolution 10/59 which "dragged its guillotine to kill South Vietnamese patriotic revolts" for "North Vietnam helpful hands" (sic). Tuong Nang Tien when mentioning of great slaved To Hoai had dared to write with super-than-communist liar Le Hung of Ba Cay Truc website: "the war against US Imperialist aggression or liberation of the South was only an outburst of madness consisted of countless small crazy outbursts such as killing of ten thousand people during Year of the Monkey Tet massacre" (sic). With his crooked nature, lackey of the oversea underground communists covered by his former Republic of Vietnam Armed Forces officer uniform, Tuong Nang Tien could not denied his work mentioned above for communist media front. -- A goal of totally destroying of all Vietnamese social classes who refused to be transform into bolsevik with communist motto "uproot all of intellectuals, the wealthy, land owners" for colonial expansion of Soviet and later great Han ethnic expansionism. These "killings of Vietnamese" by Viet communist clan had been carried out from 1930; in massive or odd paces depending on its ability and domestic or abroad political situations. That goal is never ending. It is still existed with more skillful, barbarous and dangerous means following domestic and international situations. It is still existed up to the beginning of August 2014 without ending except in the event of an eliminated communist clan from the governing machine; or in case of patriotic Vietnamese taking power as a real owner of their fatherland. Yet underground crooked slaved writer Tuong Nang Tien viewed that communist killing as "a great outburst of madness". His view is more tainted at time of his writing in July 2014 when he showed off his "permit of psychological treatment and earning from this occupation" (sic). With his knowledge, he must distinguish between a mad killer and a killer without madness or moreover; a bunch of killers with their calculated systematical mass killing of innocents!? -"Crazy outbursts killing of ten thousand people during Year of the Monkey Tet massacre" (sic). His intentional dropping of words "in Hue" from this sentence meant only "10,000 victims" (sic) were massacred by deceit communist troops in Mau Than 1968 throughout territory of Republic of Vietnam. 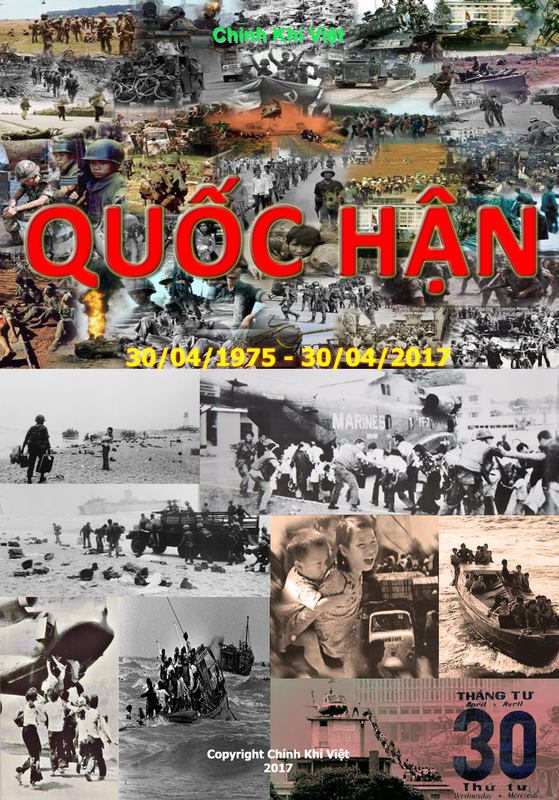 How insolent the numeral document of the communist clan's victims during Tet Mau-Than 1968 massacre that Tuong Nang Tien proved! Following a document of Major Lien Thanh, former Commander of National Police Headquarter in Hue, Thua Thien Province of the Republic of Vietnam, the accurate number of victims was up to 6527 in central metropolis Hue alone! The article of slaved crook Tuong Nang Tien was posted on Dan Chim Viet, Dan Lam Bao ... and his own personal blog on RFA; and probably on other forums as well. Under his former Republic of Vietnam Armed Forces officer uniform, how damages it should able to cause to younger generations of Vietnam who were brainwashing that "young people have nothing to do with the past". Foreign "messengers" and liberal intellectuals can easily to take advantage of it to publicly defend bloody crimes for generations of communists. It also gives a suggestion to being ruled people of Vietnam and Vietnamese oversea that they would better forget the past and forgive the communists' crimes; unify with the communists and let them continue to be existed (of course with their absolute advantage!). For example: Jonathan London, Ph. D., assistant professor of eco-political science at Hong Kong urban university who happily took slaved communist writer Huy Duc's new words "the winner side, loser side" to avoid the truth of "aggression war of the Soviet and expansionist China"; carried out by Viet communist clan. Excerpt: "On writing style, our literature still has a long waiting to get out of historical style. To Hoai got out of it with his "Cat Bui Chan Ai, Chieu Chieu"; but that was a narrative. Until his "Three Other Persons", that had become a novel; a modern writing style with ironic, indifferent and joking resources which created the power of literature" (end of excerpt). 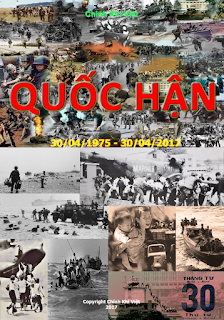 As Chinh Khi Viet had shared to his readers in his other articles, all novelistic characters in "Three Others" are "real human beings, real incidents"; such as Huynh Cu of communist aggressors against Republic of Vietnam. He defected and got a job at "Chieu Hoi" agency of Republic of Vietnam government in Saigon; similar to VC Colonel Tam Ha. The character named Boi is the author himself (the story teller). From his rank of group assistant leader, Boi (To Hoai) told stories of his poverty-stricken private life as similar as author To Hoai! Therefore, "Three Others" must be categorized as To Hoai's narrative; told stories of his life working as a group assistant leader for communist land reform program. Why had great communist slaved writer Nguyen Ngoc categorized it as a "Novel"; made it as "fabrication into reality" but no such reality? Because great slaved communist writer Nguyen Ngoc had been at top rank of the Communist Party (communist party branch secretary) in his communist Literary & Art Associated League. Hence in his political view, politic must be "overwhelming". That meant To Hoai's writing style should be misunderstood to "undermine the communist land reform program"; and exposed the dirty lewdness of a "senior fighter in the communist propaganda front" who had kept many important positions in the communist "distorted" machine. And why he had still praised To Hoai's "Three Other Persons"? Because great communist slaved writer Nguyen Ngoc understood well that To Hoai was a loyal member of his communist party who had sacrificed his own reputation to expose dirty lewdnesses of his own and other absolute loyal cadres. That sacrifice helped his readers to be blinded in front of the real allegation from great criminal Ho Chi Minh and his communist party clan in their land reform program! Chinh Khi Viet would like to remind the event so-called "Land Reform", one of four goals in its practical measure with its motto "uproot all of intellectuals, the wealthy, land owners" carried on by Viet communist clan upon the moment it was born by Soviet. That meant there is no available chance to transform Vietnam into a stabled red slaved part of Soviet (later expansionist China) without termination of those four basic social classes in Vietnam. The communist land reform program which To Hoai worked as a group assistant leader used slogan "farmers have own rice-fields" as a prey to unionize farmers; guided them into a mandate nationwide purge against non-communist parties, associations and individuals (who are also called nationalists) and to terminate party members who were honestly "sacrificed for fatherland" in a tricky "coalition against French colonialists" war. The goal of that war was not for the independence of fatherland and its people. Its role was to bring red colonial Soviet and expansionist Grand Han ethnic into Indochina of Vietnam, Cambodia and Laos. That meant the goal of Viet communist clan is transformation into bolsevik and Han ethnic; communism and red slavery of whole communist party and whole population of Vietnam. After land reform program was an operation of correction of land reform, agricultural and small industrial co-operatives. Mountains, lands, rice-fields and tools for agricultural and small industrial productions were owned by the communist clan, lackey of Soviet and expansionist China. Rural Vietnam was divided into two ownerships. The communist clan was an absolute owner. All others such as destitute farmers, regular farmers and wealthy farmers ... were just red slaves; in both physical and spiritual ways. The ultimate consequence from Ho Chi Minh communist clan's land reform was as a sole absolute owner, it would able to freely sell all those properties to foreigners; caused numerous appeals, hardships and deaths for being ruled Vietnamese. A recent typical victim was the family of Doan Van Vuon. This case is forgotten now from the memories of faked "democracy, oppositional and independent media" activists; as well as international human rights activists. Their troubled visions were bad enough to keep peaceful measure following communist laws and put aside violent measure which would possibly caused damages to their own properties and the "communist clan's human rights"!? Therefore, great slaved writer To Hoai had emotionally written on sexual scenarios from main communist cadres of land reform program; including To Hoai himself and Huynh Cu; as similar as scenarios inside whore houses now. That writing style was praised by great slaved writer Nguyen Ngoc as "modern writing style" (sic). Yet it was less modern than the style of "Saint Ho" of Tuong Nang Tien. Ho's style of persuasion was half-measured praised as "Uncle Ho's excellent tongue" by Nguyen Khanh Toan, former chairman of the communist governmental social science commission, professor of Phuong Dong University in Soviet and mentor of great communist Ho Chi Minh. The comments from great slaved writer Nguyen Ngoc mentioned above "Other writings focused on the farmers as victims instead of chief culprits. Three foolish guys without knowledge happened to make a whole society upside down for several thousand years of culture" were also a definitely allegation of To Hoai. 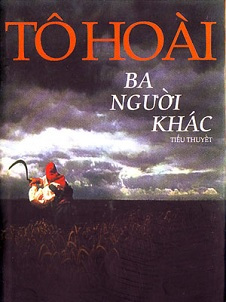 In his narrative, To Hoai told his directly involution into land reform with other "rooted" destitute farmers. All of them were culprits of "national and social tragedies" (sic) as written by great slaved writer Nguyen Ngoc. It was just a support with one of literary types for great slaved communist historian Tran Quoc Vuong. An excerpt in his article "A Haunting of The Past" was written: "the types of socialism; either from Stalin or Mao (Chinese Stalinism); and even after being adapted into Ho or Viet forms, seemed to be unsuccessful because of the "stubbornness" of a little farming Vietnam" (sic). And the suggestion of great slaved communist historian Tran Quoc Vuong was: "A single word in summary is not " đấu" (contest) but "hòa" (pacifist): peace, compromise, concord, conciliation ... (sic)!! With showing of those excerpts above, Chinh Khi Viet had made clearly that despite of differences in roles as slaved writers, historians, faked democracy activists, faked opponents, faked defectors ... all of them had tried with their own "productions" to prove that Viet communists are not deceivers. Their political policy is right. Their mistakes caused by individual subordinates. People who criticized them are just "destitute farmers" (Tran Quoc Vuong's comment). Intellectual standard of people is still "low" (Ha Si Phu's comment). Therefore, in introduction of great slaved writer To Hoai's "Three Other Persons", great slaved writer Nguyen Ngoc had made it clear that during communist land-reform program, Vietnamese farmers were not victims as previously mistaken sources. They were culprits who caused "a whole society upside down for several thousand years of culture" (sic) !!?? Remember that all of them; either communists or their lackeys; inland or abroad, come from a same original base on certain issue; despite of their oppositional roles or their quarrels. Chinh Khi Viet would like to show an example of "real person and incident" which caused hot subject on oversea forum: A person named Han-Giang Tran Le Tuyen. Her narrative told that her age is under maturation, no organizational affiliation but had been jailed in an infamous communist prison with strictly rules and cruelly jailers who treated many prominent political prisoners from Republic of Vietnam brutally. She had pretty much freedom in the prison to make friend, give a grain of comfort and helps to those "prominent political prisoners" (!?). Also from her narrative, because having dream of living oversea, from her maiden (?) days, she must have partnership as a married couple with lieutenant colonel Tran Dang Son, over 20 years older than her, assistant intelligent officer for religious affairs, former assistant official of communist provincial security agency in Da Nang. He successfully arranged a plot to flee the country with her and resettled in France. She then fumbled into writing domain; skillfully got close to old aged prominent writers such as doctor Phung Van Hanh, newsman Dang Van Nham, lieutenant General Tran Van Trung and engineer Nguyen Kim Khanh in Paris. It was no doubt that lustful guy must support this rural custodian Le Tuyen. As a wife having 5 children with assistant intelligent officer for religious affairs Tran Dang Son but she told Nguyen Duc Chung of Hon Viet UK website that she has never had a true love. And even living time as a wife that long with Tran Dang Son, she told Chung that she had been raped only 5 times by him (?) and got pregnancies. Any reader of Hon Viet UK online now or in the past would distinguished easily between which one is Hon Viet in "cover only" and which one is Hon Viet by Le Tuyen. 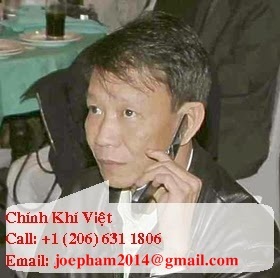 Please click on this link to know more about Hon Viet: http://www.chinhkhiviet2013.com/275153579. As same as underground status of Han Giang Tran Le Tuyen, slaved writer Tuong Nang Tien has similar political viewpoint like great slaved communist writers To Hoai, Nguyen Ngoc and others who attended the forum to spread great slaved communist writers To Hoai's "skill of distortion" in his narrative "Three Other Persons" on land-reform subject. Their goal helped Soviet and Han ethnic to transform Vietnam in the past; now helps other profiteered powers as well. Covering under uniform of "former Republic of Vietnam Armed Forces officer", slaved writer Tuong Nang Tien in his role as "communist fighter on media front" and with his whole heart and stubbornness like Le Hung of Ba Cay Truc website, he defended and spread Hoang Quynh's "Conciliated Constitution"; as well as defended and flattered newspersons such as Lao Moc, Kiem Ai, Truong Minh Hoa, Han Giang Tran Le Tuyen, Ton Nu Hoang Hoa .... Please click this link for more information: http://www.chinhkhiviet2013.com/340192211. This is Tuong Nang Tien's conclusion for his defending of them: Excerpt, "the issue is not hatred or revenge. The traditional culture of forgiveness from Vietnamese people gives no permission to anyone to carry out that" (end of excerpt). The goal of his conclusion is to defend the communist clan, the culprit, for its trading of the country and killing of people. Our ancestors defined this crime as "un-tolerable from sky and earth" measure. He was a most scoundrel with his fabrication of "traditional culture of forgiveness from Vietnamese people gives no permission to anyone to carry out that" (sic)? The real traditional culture of forgiveness from Vietnamese people is no revenge for individual hatred! Exactly that is; and surely true-born Vietnamese patriots would never have thinking like that; let alone practicing of it. The culture of forgiveness is not unconditional forgiveness. As a true owner of the fatherland, Vietnamese people would judge matters following legislative laws of civilized world. In that procedure, a criminal must be brought to the tribunal with juridical codes. The defendant has own lawyer/lawyers or would be in self defense in front of a publicly tribunal. No motive forces can be interfered with justice! For example: A guy named Truong Minh Hoa of Tinparis.net who reported himself as a second-lieutenant of a local psychological warfare unit in Ca Mau, his birthplace. His defeatism made him to become an informant for the communists in the prison. He collaborated with communist jailers to eliminate Republic of Vietnam Armed Forces Captain Quach Duoc Thanh. A Chinese guy named Hua Vang Tho of tinparis.net website had posted Truong's article saying that the daughter of the victim "received money from Vietcong to blame on him" (sic). Should crimes of Truong Minh Hoa and his "distortedly" accomplice Hua Vang Tho on Captain Quach Duoc Thanh murder case (who was terminated and his daughter was falsely accused to "received money from Vietcong to blame on him") to be dismissed in adaptation of Vietnamese traditional culture of forgiveness; shouldn't they? The way slaved writer Tuong Nang Tien had written was proving that he was a "true loyal propagandist for Viet communists" in typical case of their buildings of cemeteries and lightings of incenses for Chinese dead aggressors of 1979 borderline battle; right here in Vietnam territory! In contrary, their own dead slaved Viet communist comrades who were brutally killed by expansionist China were kept in abandonment. Would who ever treat their own dead in different way than abandonment be blamed by their expansionist China as "hatred or revenge" to it; wouldn't be?? To those who are still "fond" of Tuong Nang Tien and "fondled" with his writings - as the way Le Hung did in his Ba Cay Truc website, please look at the true face of a defector to the communists whose name is Tuong Nang Tien who was uncovered by Chinh Khi Viet. All documents used in this article and other articles written by Chinh Khi Viet are based on the crooks' own fresh-ink writings; whose true identities were uncovered to the public from their hide-outs by Chinh Khi Viet.